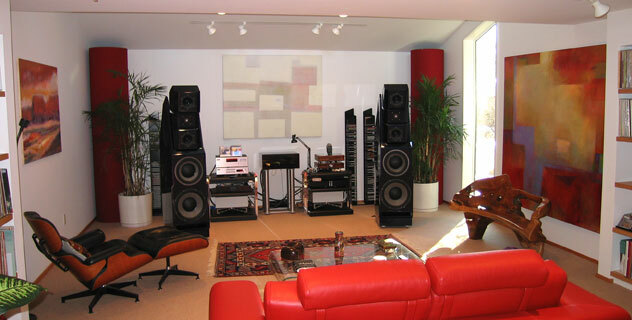 Room Acoustics for High Performance High End Audio: Structurally condition the walls, floor and ceiling to withstand and manage the room shaking impact from high power, high performance audio systems. Implement corner loaded traps for bass management and wall mounted panels for treble voicing. Full-bandwidth sound systems deserve full bandwidth rooms. Twenty years ago we were the very first, and we remain today the very best, builder of high performance playback environments.